Find the best FEHB plan for you and your family at the right price. What makes Checkbook the best FEHB Plan Comparison Tool? Undeniable Experience Proud providers of federal employee health plan analysis for 40 years!
" The Checkbook tool is, far and away, the best and perhaps only way to make sense out of all the health plan options for feds. It makes it easy to compare all the choices. I highly recommend it. It has saved me hundreds of dollars over the last couple years." We are the only nonprofit, independent, and unbiased local ratings resource providing ratings, reviews, and advice on local services from accountants to doctors to plumbers to vets to window installers, and everything in between. Unlike other ratings websites, we accept no advertising, referral fees, or kickbacks from the businesses rated. 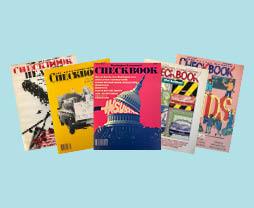 Checkbook is available in Washington D.C., Boston, Chicago, Minneapolis, Philadelphia, San Francisco, and Seattle. Hospitals are dangerous places. 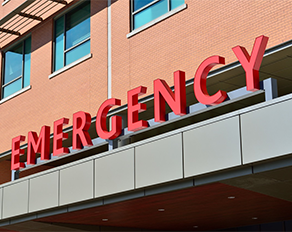 A stay at even the best hospitals pose significant risks of death, infections, and other mishaps. Our ratings of more than 4,800 U.S. acute-care hospitals, and our advice on how to get the best possible care, will help you decide where to go. 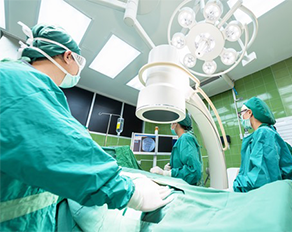 Choosing the best surgeon can reduce your chances of death, complications, or other bad outcomes. Based on analyses of more than five million surgeries done in hospital by more than 50,000 surgeons, we show you which surgeons' patients had the lowest (or highest) rates of deaths, prolonged lengths of stay (indicating likely complications), or need to be readmitted to hospital, after our risk-adjustments for patient characteristics. Thank you for pre-ordering access to the 2019 Guide. 2019 health plan data will be released on the first day of Open Season, November 13th. Please return to guidetohealthplans.org at that time to use the tool. We'll also send you a reminder email. You can read all of our FEHB advice now below.